The winter of 2013-14 went on and on for many of us. My way of coping towards the end was to start a series of paintings reminding myself of how beautiful I think winter can be and how much I like being out in my neighborhood on a beautiful snowy winter day. This is from The Hiawatha Golf Course in Minneapolis. 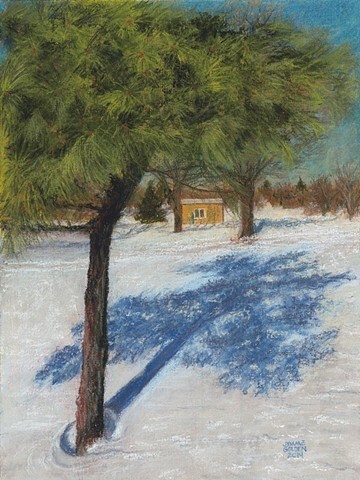 I love the long shadows on the winter snow.